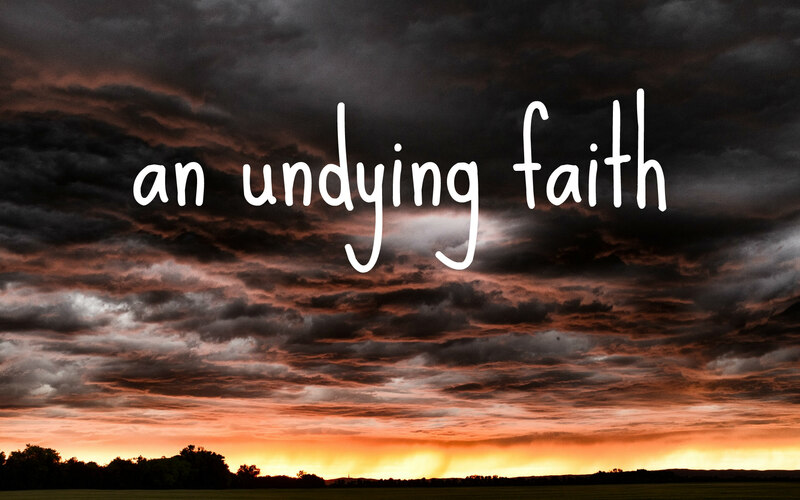 To have a faith so strong that it is kept even unto death sounds unbearable,yet as a Christian we know it is by the power of the holy spirit that allows us to endure suffering,persecution and being hated sometimes even of our own.Jesus said to remember He was hated before we were(John 15:17-27). 17 These things I command you, that ye love one another.18 If the world hate you, ye know that it hated me before it hated you.19 If ye were of the world, the world would love his own: but because ye are not of the world, but I have chosen you out of the world, therefore the world hateth you.20 Remember the word that I said unto you, The servant is not greater than his lord. If they have persecuted me, they will also persecute you; if they have kept my saying, they will keep yours also.21 But all these things will they do unto you for my name’s sake, because they know not him that sent me.22 If I had not come and spoken unto them, they had not had sin: but now they have no cloak for their sin.23 He that hateth me hateth my Father also.24 If I had not done among them the works which none other man did, they had not had sin: but now have they both seen and hated both me and my Father.25 But this cometh to pass, that the word might be fulfilled that is written in their law, They hated me without a cause.26 But when the Comforter is come, whom I will send unto you from the Father, even the Spirit of truth, which proceedeth from the Father, he shall testify of me:27 And ye also shall bear witness, because ye have been with me from the beginning. We have a very vivid picture of one who was willing to die for their faith found in the person of Stephen who was stoned after speaking boldly for the Lord! (Acts 7:44-60). 44 Our fathers had the tabernacle of witness in the wilderness, as he had appointed, speaking unto Moses, that he should make it according to the fashion that he had seen.45 Which also our fathers that came after brought in with Jesus into the possession of the Gentiles, whom God drave out before the face of our fathers, unto the days of David;46 Who found favour before God, and desired to find a tabernacle for the God of Jacob.47 But Solomon built him an house.48 Howbeit the most High dwelleth not in temples made with hands; as saith the prophet,49 Heaven is my throne, and earth is my footstool: what house will ye build me? saith the Lord: or what is the place of my rest?50 Hath not my hand made all these things?51 Ye stiffnecked and uncircumcised in heart and ears, ye do always resist the Holy Ghost: as your fathers did, so do ye.52 Which of the prophets have not your fathers persecuted? and they have slain them which shewed before of the coming of the Just One; of whom ye have been now the betrayers and murderers:53 Who have received the law by the disposition of angels, and have not kept it.54 When they heard these things, they were cut to the heart, and they gnashed on him with their teeth.55 But he, being full of the Holy Ghost, looked up stedfastly into heaven, and saw the glory of God, and Jesus standing on the right hand of God,56 And said, Behold, I see the heavens opened, and the Son of man standing on the right hand of God.57 Then they cried out with a loud voice, and stopped their ears, and ran upon him with one accord,58 And cast him out of the city, and stoned him: and the witnesses laid down their clothes at a young man’s feet, whose name was Saul.59 And they stoned Stephen, calling upon God, and saying, Lord Jesus, receive my spirit.60 And he kneeled down, and cried with a loud voice, Lord, lay not this sin to their charge. And when he had said this, he fell asleep. Hebrews chapter 11 teaches us of others who although they did not receive the promise lived their life strong in faith,but were not deterred no matter what they faced(Hebrews Chapter 11).